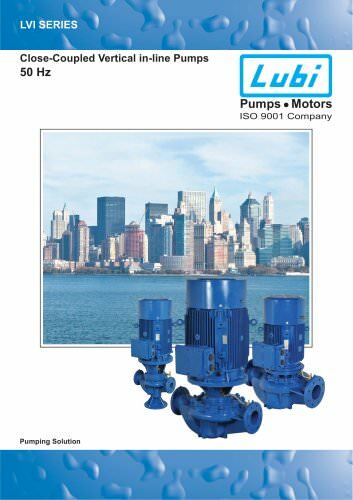 Catalogs > LUBI INDUSTRIES LLP > Close-Coupled Vertical in-line Pumps 50Hz. Close-coupled vertical in-line pumps LVI Sectional drawing Fig. 2a 71 to 90 & 200 to 315 IEC frame sizes Fig. 2b 112 to 180 frame * Wear ring is available on request only.